This is it. 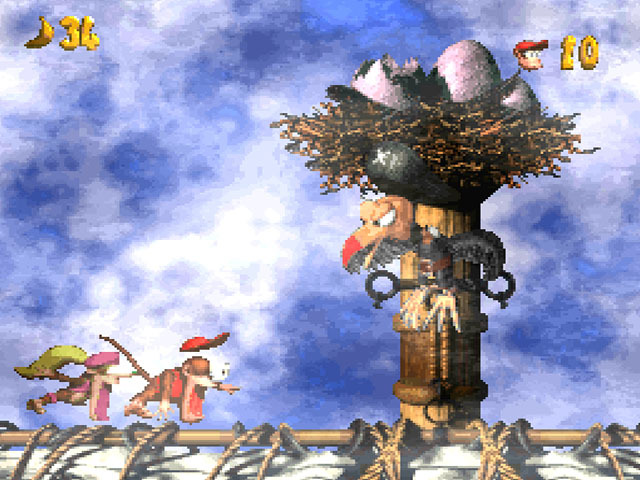 This is my favorite 2D platforming game of all time (and also my favorite Rare game). 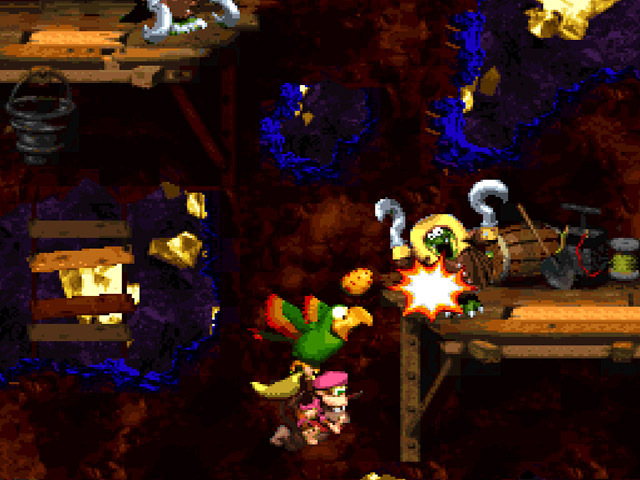 Along with the likes of Earthbound, Planescape: Torment, Ocarina of Time, and Chrono Trigger, DKC2 is one of the best games of the 90s. If the original was the prototype, this installment is when all of those excellent ideas were truly realized. The environments and level design are both absolutely top notch. The effort that went into this game really shows when you consider how, for the most part, every level offers a unique challenge. The music is great too. All in all, this is one of those games that everyone interested in the medium needs to play. Very well said. 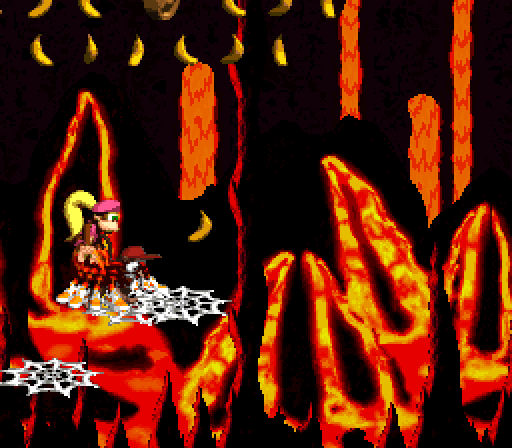 Everything about DKC2 exudes quality and creativity. It has that same sense of throwing in a brand new idea with every level that the absolute best Mario games showcase. And its sense of atmosphere is entirely unique. 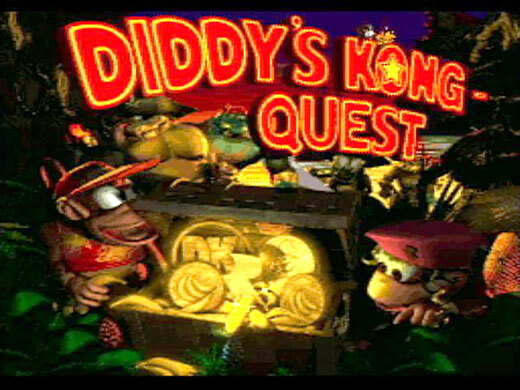 I’ve always been more of a DKC fan than a Mario fan due to growing up with the former. 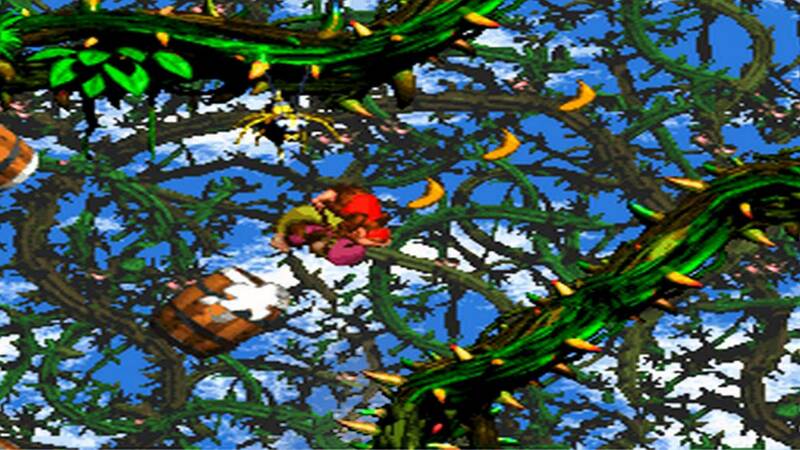 I had Super Mario World as part of the All-Stars collection and Yoshi’s Island as well, but the DKC series just oozed life. You’ve inspired me to get this sequel out and give it another run!